Tags a heart attack, alzheimer, amyloid plaques, angina, atherosclerosis, atrial fibrillation, blood clot, blood clots, blood pressure, blood pressure control, blood pressure readings, brain, breathing problems, calcium, cardiology, cardiovascular, cardiovascular disease, cardiovascular risk, cardiovascular risk factors, cerebral blood vessels, chest discomfort, chest pain, cholesterol, cholesterol levels, chronic kidney disease, cognitive decline, cognitive function, cognitive impairment, congestive heart failure, coronary, coronary arteries, coronary heart disease, dementia, diabetes, diastolic heart failure, ed, elevated blood pressure, erectile, erectile dysfunction, excess fluid, fluid buildup, health, healthy lifestyle, heart attack, heart attack causes, heart disease, heart failure, heart healthy, heart muscle, heart problems, heart valve problems, high blood pressure, high blood pressure and, high blood pressure is, hypertension, hypotension, ischemic stroke, kidney failure, kidney function, ldl, memory, mini stroke, mitral valve, muscle, neurofibrillary tangles, nutrients, obesity, optic nerve, pain, parts of the eye, retina, risk of heart attack, stroke, stroke risk, systolic blood pressure, systolic heart failure, transient ischemic attack tia, unstable angina, vascular dementia, weight gain. 6. 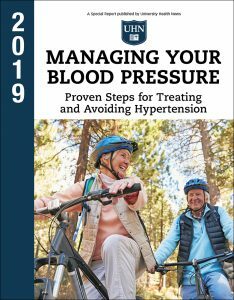 How Low Should Your Blood Pressure Go?